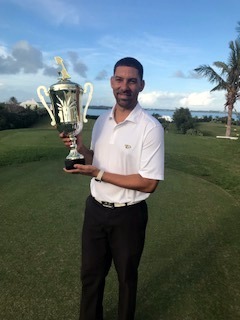 Chaka DeSilva was crowned the BPGA Stroke Play Champion at Tucker’s Point in near perfect conditions. Tucker’s Point maintenance crew and superintendent had the course in fantastic condition and every player absolutely enjoyed it. DeSilva fired a Second Round 2-under Par 68 to edge Scott Roy who shot a 1-under par 69. Paul Adams remained steady and shot a solid 5-over par 75 to finish 3rd. Darriek Douglas climbed the leaderboard as he also shot 2-under par 68. Dwayne Pearman finished tied with Douglas and Camiko Smith finished in 6th spot.